Pioneers in the industry, we offer hdpe pipes, high density polyethylene pipe, hdpe coil pipe, spray pipe, high density hdpe pipe and hdpe pipe for drainage from India. 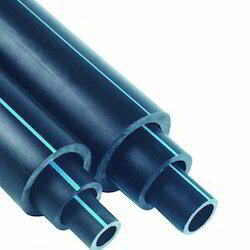 HDPE Pipes is widely used in sewerage pumping, irrigation systems, effluent disposal systems and submersible pumps. Made from standard quality high-density polyethylene, these pipes are suitable for carrying wastewater, potable water, chemicals, slurries, cables, hazardous wastes, oil and compressed gases. Ensure leak-free flow of fluids, the entire range of HDPE pipe is extremely tough, strong and long-lasting in quality. These pipes are easy to install and resistance to chemicals and acids. 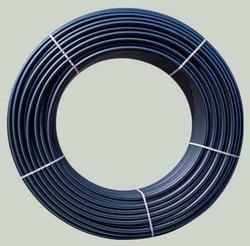 We are an eminent name engaged in supplying superior range of High-Density Polyethylene Pipe. The offered pipes are available in different sizes and diameters with silicon coating inside. These HDPE pipes are manufactured from superior quality raw material and are cost effective & safe solution for water supply, irrigation and other Industrial application. 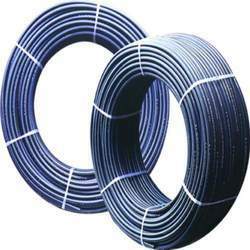 These offered HDPE pipes in coil form for submersible pumps etc. These offered pipes are made under strict quality control & conform to various international standards. With rich industry experience and knowledge, we are engaged in the business of supplying a qualitative assortment of HDPE Coil Pipe. These types of pipes have wide application in diverse irrigation purposes. Coil Pipe setup comprises various forms of pipes attached together and distribute water evenly for the irrigation of crops. Installed in bore wells without joints. Light M weight and high tensile strength. Smooth internal surface helps save energy. Safe for portable water raw material comes with a food grade certificate. Our High-Density HDPE Pipe is supplied all across the nation and is especially appreciated for their cost-effectiveness and reliability. These types of pipes are widely used in bore well, sprinkler, water supply, drip irrigation, and sewerage/drainage etc in urban and rural areas. The offered pipes are also useful in fruit juice, telecommunications, vegetable oil, chemical/processing industries, dairies and other liquid & semi-liquid conveyance & flow applications. These pipes are well-tested on various parameters of quality by our experts to ensure their flawlessness. With a specific end goal to fulfill the different requests of our customers, we manufacturer HDPE Pipe for Drainage that is utilized as a part of water supply dissemination frameworks. The given pipe can be utilized for transfer of destructive effluents chemicals and treated. 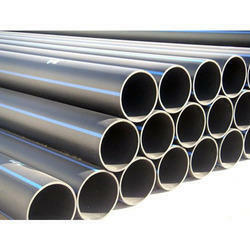 Ours gave pipe are produced from the quality tried crude material in satisfaction with set industry gauges under the supervision of rehearsed workforce. 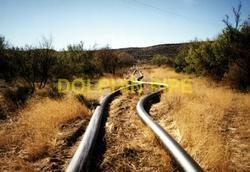 We hold the proficiency in offering premium quality HDPE Water Supply Pipe. These pipes are precisely tested under the guidance of our experienced quality controllers using advance testing machines and tools. These offered supply pipes are available in various lengths, sizes and dimensions to meet the specific requirements of customers. Our precious clients can avail these pipes from us at very reasonable prices. 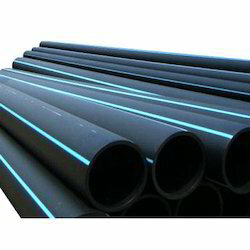 We manufacture premium quality Black HDPE Pipe, which are widely used in metropolitan, underwater, mining, landfill gas extraction, municipal, industrial, cable duct, gas oil, mining & water utility and agricultural applications. These pipes are manufactured using high-grade polyethylene in compliance with prevailing quality standards. They are effectively used in underground, above ground, surface, underwater as well as floating pipe applications. 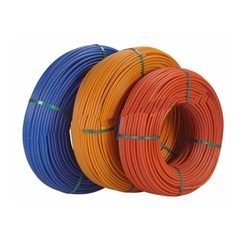 Our clients can avail pipes in two types, High Density (HDPE) and Medium Density (MDPE) that can carry potable water, chemicals, hazardous wastes, waste-water, slurry, cables and compressed gases/oils. Owing to lowest repair frequency per kilometer, these pipes are extensively used for urban water and gas distribution. 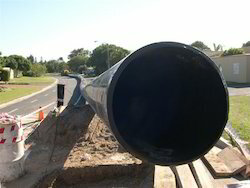 Looking for HDPE Pipe ?